This year over 700 e-commerce elites will be attending the annual celebrations and of course our very own Thomas Bloch will be one of the panel judges awarding this year’s e-commerce industry Grand Golden Medal! 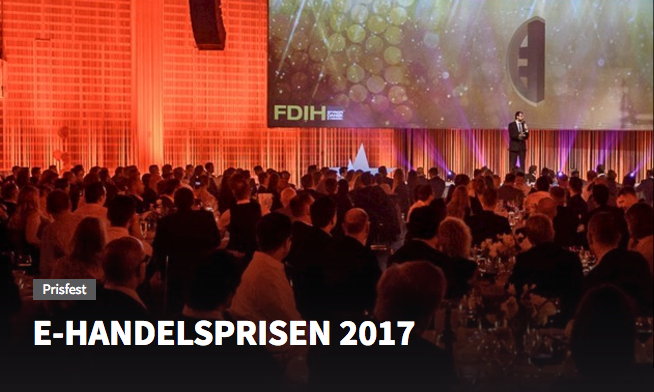 The Danish eCommerce Awards (E-handelsprisen) is an award show that celebrates the achievements of the Danish e-commerce industry. It honors e-commerce businesses and solutions, who have paved the way for others and whom are pioneers in their field. The eCommerce Awards consists of 13 categories that are tailored from year to year. The Users’ Favorite Award (Brugernes Favorit) is the award through which a company has achieved the most online votes by consumers. Furthermore the famous Golden eCommerce Award (Guldpris) is where the winner is selected by a jury consisting of professionals within the industry. The Danish eCommerce Awards was held for the first time in 2000 and has continuously grown from year to year. See you at theDanish e-Commerce Award show in Copenhagen, May 18th, 2017! More info her.